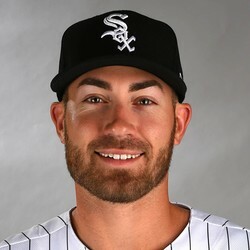 Nicky Delmonico has been dealing with a stiff neck and hasn't played a game since September 16th. The White Sox may not have known he would miss this much time, but a quick 10-day DL stint could've been a good option. Instead, the White Sox have had him listed as day-to-day. With only a handful of games remaining, Delmonico may not see much more playing time anyway.